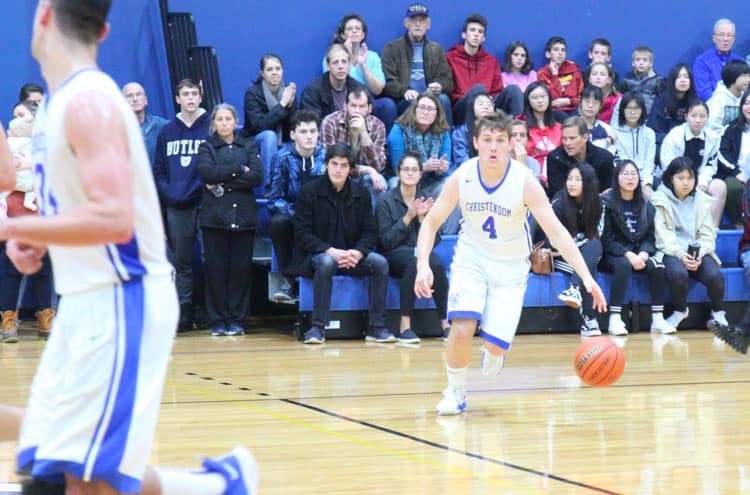 Christendom’s Crusader basketball teams put on a show for the home crowd over the weekend, with both the men’s and women’s teams coming up big against the Appalachian Bible Warriors. The Crusaders won 93-61 — their second-highest scoring game of the season — while the Lady Crusaders won 59-33, securing their fourth straight victory. The Crusaders entered their game hungry for a victory, after winning only two games in their previous ten match-ups. That drive revealed itself early and often, with freshman Owen Kennedy leading the way for the Crusaders with 23 points and a double-double. Johnny Echaniz led the team in minutes played and scored 17 points of his own, helping to lead the Crusaders to their much-needed 93-61 victory. 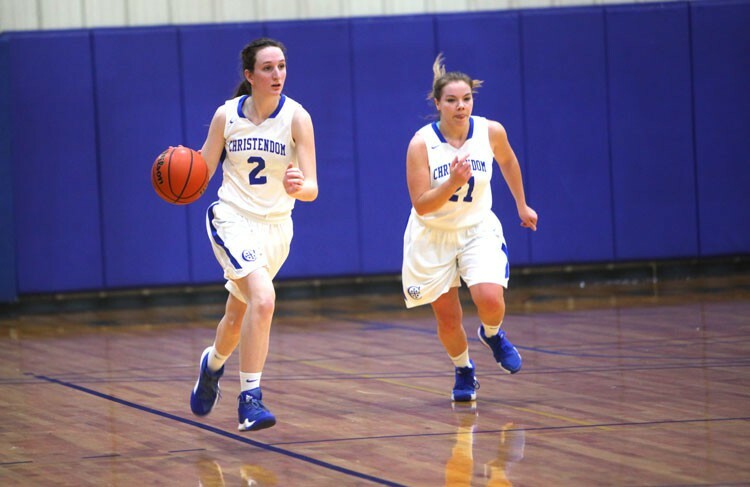 The Lady Crusaders have settled into a winning groove over the past two weeks, with their thrilling 44-43 win over Mid-Atlantic Christian last weekend marking the high point of their season so far. They carried that momentum into their rematch against Appalachian Bible, with Mercy Willson and Gemma McMahon again leading the way. Both scored double-doubles, with Willson leading the team with 19 points, while Georgie Messing played the best game of her season so far with 17 points. The Lady Crusaders ultimately won 59-33, extending their win streak to four games and evening their season with a 5-5 record. The Crusaders will next play against Patrick Henry on Tuesday, February 5, while the Lady Crusaders will look to keep their winning streak alive against the Washington Adventist Shock on Tuesday as well.